We had just become used to the idea of being pregnant, now we had to get used to the idea of being parents! I went into labor unexpectedly when I was 23 weeks 3 days pregnant. 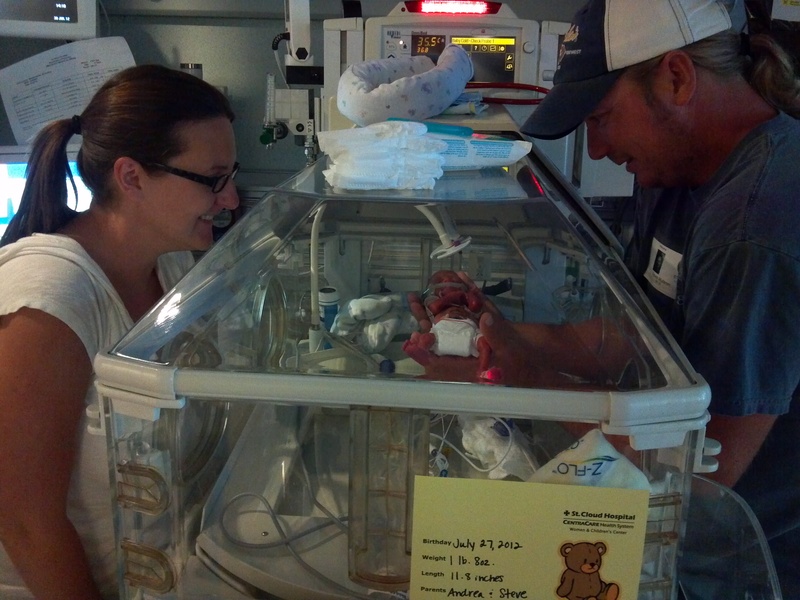 Our micro-preemie, Jaxson, was born 17 weeks early on July 27, 2012 at 5:16 pm. He weighed 1lb 8oz and was 11 3/4 inches long. 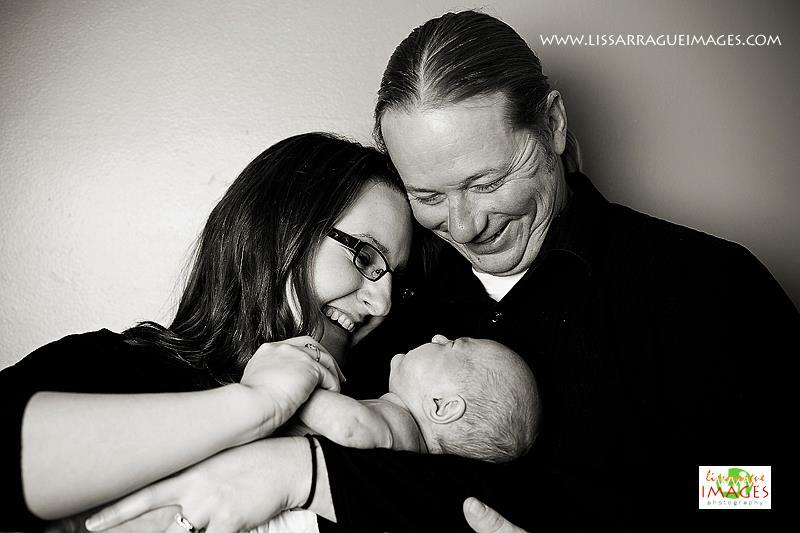 Jax came home from the hospital after 93 days in the NICU – almost a full month before his due date of November 20. Jax came home from the hospital on oxygen, but after a month and a half, he passed his sleep study and proved that he was ready to come off. He had aggressive Retinapothy of Prematurity (ROP) in both eyes which required Avastin injections and laser surgery, hypospadias, double inguinal hernia (which required surgery) and an umbilical hernia. He suffers from Chronic Lung Disease. His pediatrician said: “Only a few 23 weekers have ever survived and only a couple have ever done as well as Jax!” We are so thankful for his strength! The doctor called him a “superhero” – we love having a superhero as a son! In an alternate universe, I was a Communications Manager at a national non-profit education organization. After lots of back and forth wavering, I decided to quit my job of 13 years to take care of Jaxson full time. Being a stay-at-home mom for a micro-preemie is the hardest job I’ve ever done! My awesome husband (who just happens be be my best friend, my favorite singer, and my sunshine) works hard to provide for our family by scaling buildings and welding them together. When we first met, he assured me that he was a “steel erector” (imagine a sly twinkle) and I assured him that I was afraid of heights. We have a don’t ask, don’t tell agreement about how many stories high he works every day. We love traveling, gardening, live music, and spending time with our family. This blog is a way for us to chronicle Jaxson’s journey. I hope it helps other parents who are going through similar situations with their babies. Now that Jaxson is a full-fledged toddler, the scariness of his traumatic birth and NICU stay is slowly fading away. I’m left with an incredible sense of awe and gratitude as I watch him do all the things doctors said he would never do. Two weeks before Jax’s second birthday, he was diagnosed with a brain tumor totally unrelated to his prematurity. You can believe that we felt angry and scared and frankly, we didn’t understand why our boy had to fight so hard to survive the NICU only to be dealt another huge obstacle. Thankfully, the tumor stayed stable and we did not have to do any treatment. Jax has regular MRIs to monitor the tumor. We have a blast every single day! You’ll see posts that make you laugh, and ones that will make you cry. I’ll also throw in a couple of Jax-approved recipes! Thanks for hanging out with us – we can’t wait to “meet” you! You can read posts from Jax’s NICU stay on his Care Pages site at: www.carepages.com/carepages/JaxMully. Hi! Thanks for sharing this! (I was in the circle with you at the Festival and when I saw this blog knew it was you. 🙂 ) What a beautiful boy. I was at a writing festival last week and met someone whose story is extremely similar to yours–down to the name of your son and the kind of work she does. So when I saw your blog I jumped to conclusions. In any case, I’m glad to have found your site (via Messy Beautiful Life) and will enjoy reading further. Oh – I think I know who you are thinking about! You can find her here: http://momofa23weeker.blogspot.com/ She is awesome and so is her son! I’m glad you stopped by. Looking forward to getting to know you better. Great – welcome to the “family!” I’ll be sure to check out your blog. We dance all the time at our house, we aren’t any good, but we have a lot of fun! You know, no one no matter how hard they tried can really repay all mums like you for the awesome jobs we do. You quit your job of 13 years for a ‘harder’ one – no vacation, no shut downs, no shifts, a full time 24 hr my brain is always active, ‘is he gonna be ok’ job…. Bravo!!!! I celebrate you super mom! And reading your last line sums up how I feel a lot of times. Awww… thanks for the nice words and encouragement! This brought tears to my eyes, i had my son at 32 weeks due to severe pre-e and HELLP, when it came time to push i kept saying i didnt know how and didnt want to! Its calming to know that there are other moms who go through the “im going to have my baby today” feeling, the worst feeling in the world. Im so glad to know that little Jaxson is thriving and doing great! My son Evan will be 1 on April 5th, it was the quickest year of my life!! Thank you for sharing your story! Thank you! It’s amazing reading about your Finn. I’m glad he did well with his ear tubes. And what a fun post about choosing the kids’ names! Your family is adorable! Thanks for sharing your link with me. Hey Andrea! I just came across your blog and am amazed by Jaxon’s story. What a beautiful miracle. 🙂 I was looking for a way to contact you, but wasn’t able to find any information. I have a question and was wondering if you’d mind emailing me? kjb.freelance@gmail.com. Thank you!